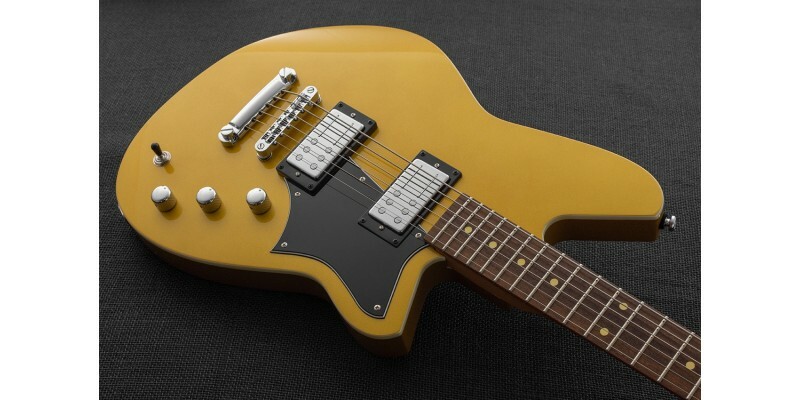 The Reverend Descent RA Venetian Gold is a baritone electric guitar tuned to B. Loaded with Railhammer Chisel humbuckers, the Descent RA delivers thunderous lows! Why not pop in to our Glasgow guitar shop for a demo and view an enormous range of Reverend guitars. You can buy online with fast delivery across the UK and beyond. Every guitar is lovingly setup to perfection and packaged ultra safely. This is the latest version which features plenty of upgrades that Reverend have been adding throughout 2017 into 2018, the standout feature being that gorgeous roasted Maple neck! 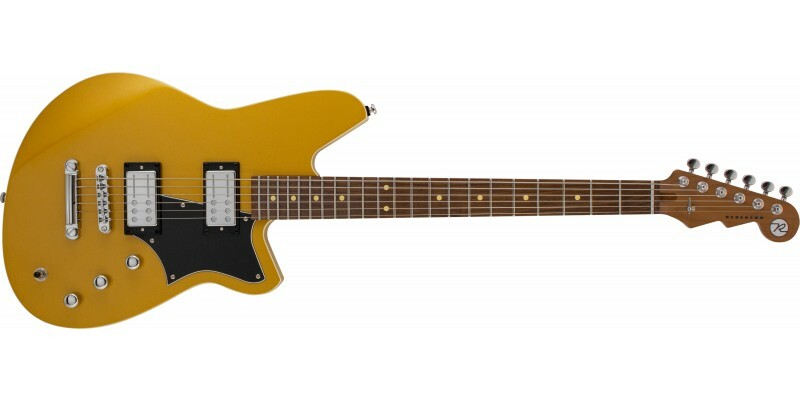 When Reverend decide to do something different like a baritone they really think it through. Many companies would just put a longer neck on a guitar and hope for the best... Every facet of the Descent has been thought through and designed for the best baritone performance whilst keeping playability. The 26-3/4" scale neck and custom made SIT 12-68 gauge strings make the Reverend Descent feel much more like a regular guitar only with a much deeper voice! The offset double cutaway body is made from solid Korina wood which is resonant and well balanced. Finished in gloss Venetian Gold, cream binding and lots of chrome hardware, the Reverend Descent RA definitely looks the part. The Roasted Maple neck has a medium oval profile and 12" radius Blackwood Tek fingerboard. Roasted Maple is normally used on custom shop and high-end boutique built guitars. Reverend have brought this material to a price bracket never seen before. This is the smoothest, silkiest neck you will ever feel. Trust us! The Roasted Maple that Reverend have used has been kiln dried to remove most of the moisture. This results in a neck resistant to temperature and humidity. The advantages also include stability and increased resonance. The fretwork on Reverend's guitars is flawless which allows you to get the action as low as you like without any problems. 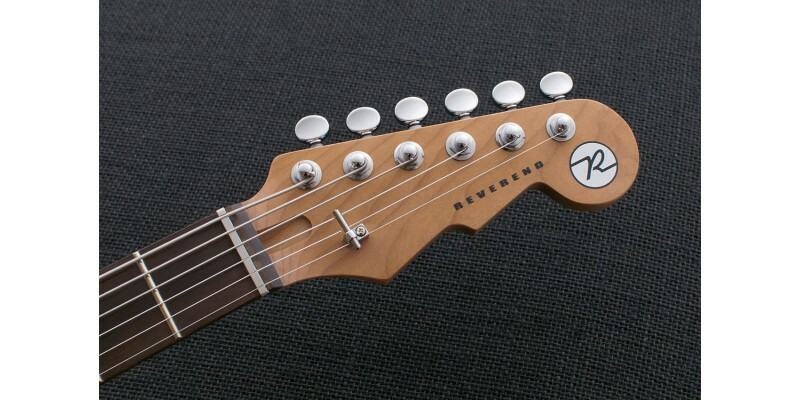 Reverend's new Boneite nut reduces friction whilst still transferring the tone of the strings through the guitar. It's more durable than graphite whilst having a more traditional tone and appearance. Along with high quality locking machine heads and a fixed Tune-O-Matic with Stop Tail bridge, you do not need to worry about the Descent RA going out of tune. 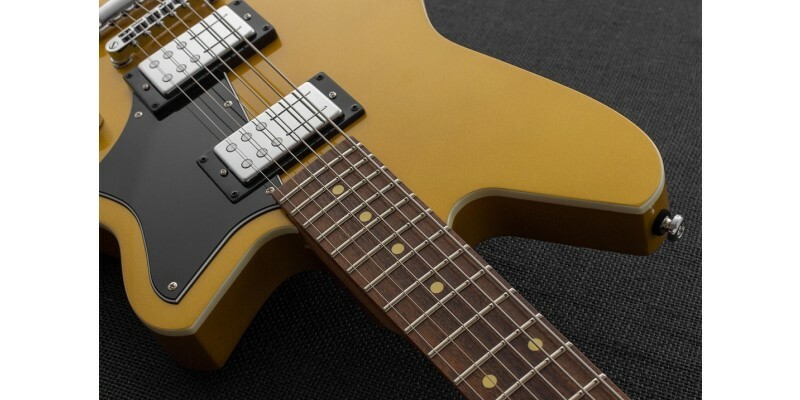 String changes are rapid and it make this a real workhorse of a professional instrument. 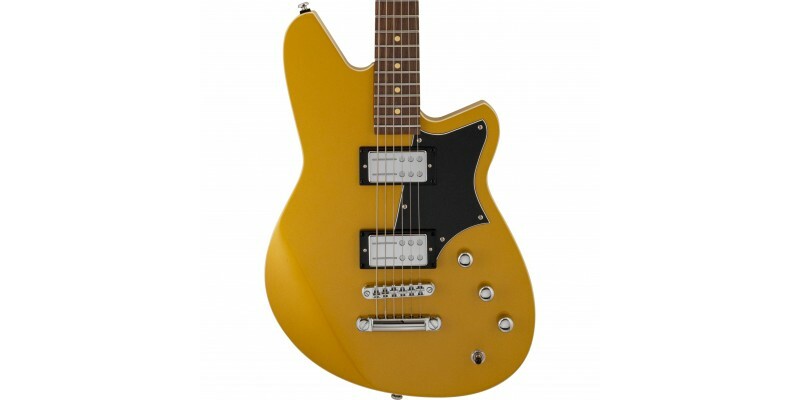 The Reverend Descent RA Venetian Gold features Railhammer Chisel humbuckers. Aggressive and thick, but with superb clarity, the Chisel sets a new standard for heavy rock and metal. Unlike the competition, you can dial in a tight clear tone on the wound strings without the plain strings sounding thin or sterile. And the Chisel has loads of character... rich in harmonics, touch sensitive, and armed with an upper-mid attack that cuts like a knife. If you want your riffs to be heard loud and clear, this is your tool. And like all Railhammers, the extra clarity on the wound strings means they work especially well with low tuned guitars. Both humbuckers are wired to a simple 3 way toggle switch with volume and tone control. A third control pot, the famous Reverend bass contour control, allows you to roll off the lower bass frequencies which really thins out the tone and adds some spank! You can effectively dial the humbuckers down to a single coil and anywhere in-between. 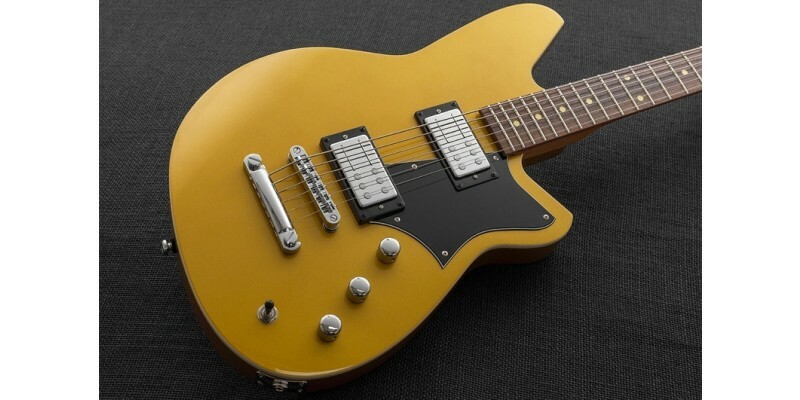 This turns the Reverend Descent RA in to a far more versatile guitar than first meets the eye.